All Johnstown homes currently listed for sale in Johnstown as of 04/25/2019 are shown below. You can change the search criteria at any time by pressing the 'Change Search' button below. "LAKEFRONT custom 4 BR ranch w/2 BR carriage house & 8 garage bays! 4 ac lot on Lakota Lake plus an 18 ac lot on Big Thompson River! Jaw dropping high end finishes throughout! Dream kitchen w/2 islands, Sub-Zero Fridge, Wolf gas range, double ovens, electric grill, refrigerated drawers & ice maker. Master retreat w/fireplace & luxury bath w/steam shower & dry sauna! Interior & exterior surround sound, volleyball court, pergola, garden & greenhouse. Boat & jet ski all summer! Hunt & fish the land." 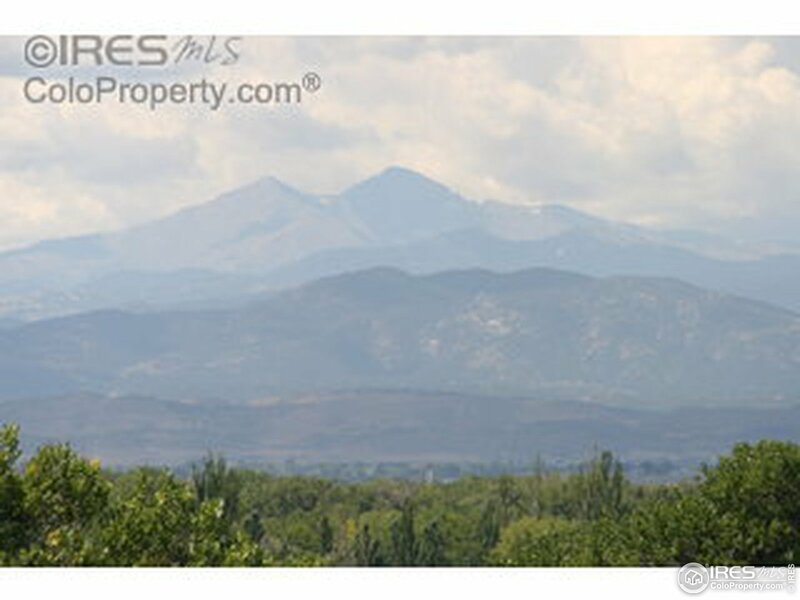 "ONLY 4 LOTS LEFT on the ridge at Thompson Crossing with incredible mountain views!! 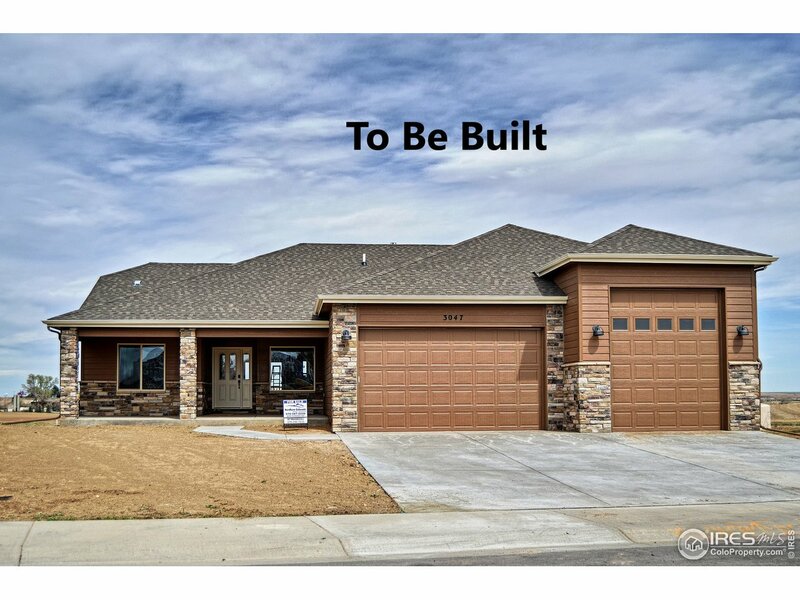 Build this dream home with Buer Homes or bring your own plan! Tankless water heater w/recirculating water system. 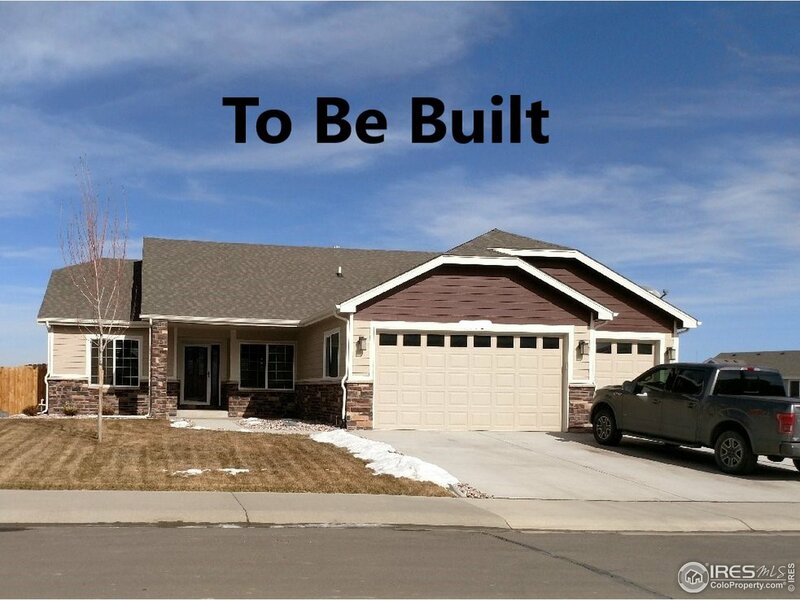 5-piece master bath, gas fireplace, finished garage w/hot/cold water taps, insulated, drywalled, texture and paint, safe room and much much more! Pictures are not of actual home and representations of previous built homes. 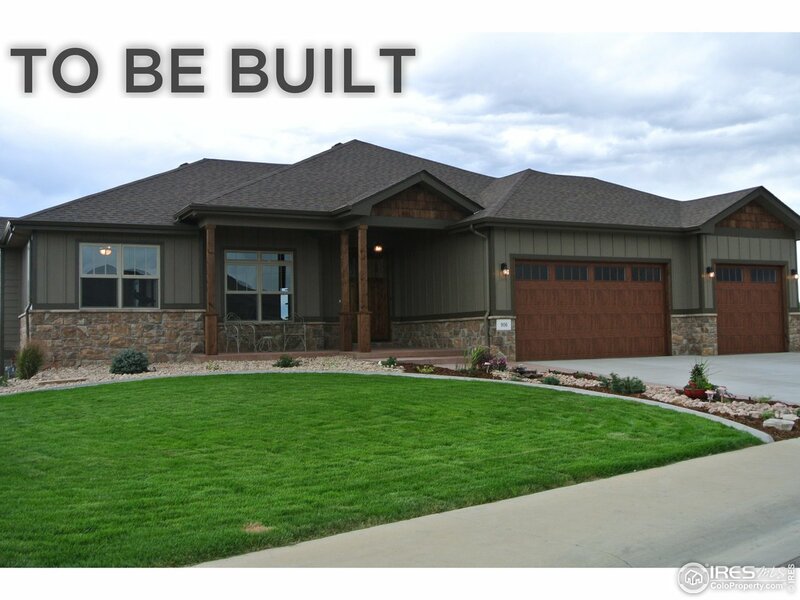 Plans can be 100% customized to buyers preferences!" "This home shall be COMPLETED END OF JULY early August! Large open floor plan, 2 bedrooms and study on main floor, 2 additional bedrooms in basement. Tankless water heater w/recirculating water system. 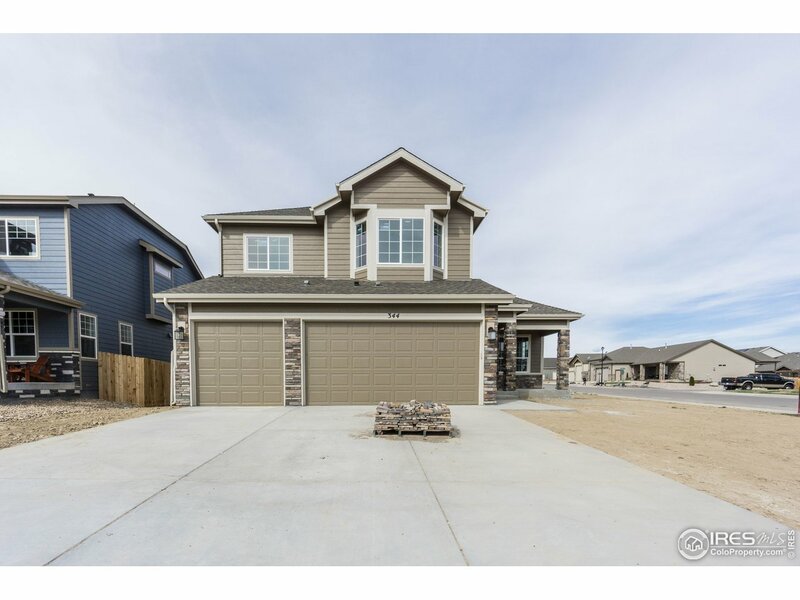 5-piece master bath, gas fireplace, finished garage w/hot/cold water taps, insulated, drywalled, texture and paint, safe room, fully landscaped and much much more! ONLY 4 LOTS LEFT on the ridge at Thompson Crossing with incredible mountain views!!" 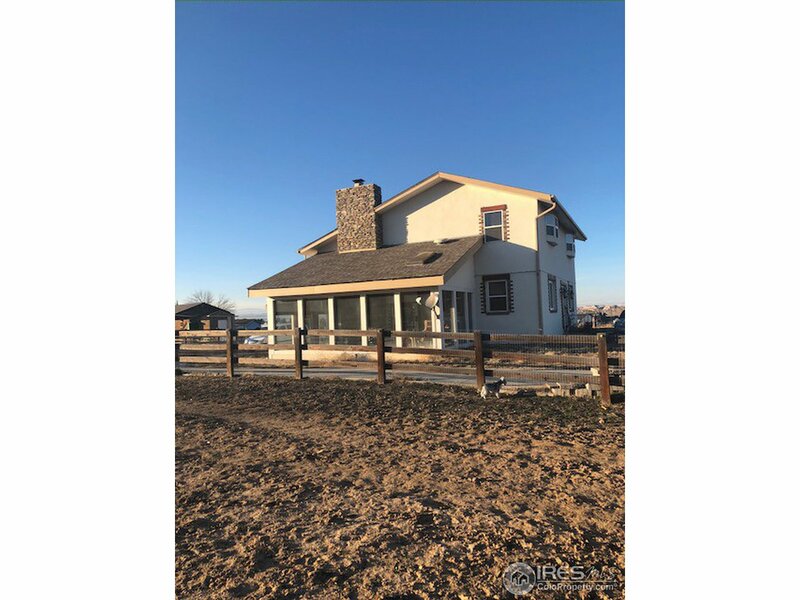 "Situated on a cul-de-sac this lovely ranch style home offers a spacious floorplan with a showstopping kitchen, luxurious master retreat, 2 additional bedrooms on the main level and a large covered patio with amazing views. The full, finished basement has a private bedroom suite and large entertainment area. Centrally located near shopping, entertainment and restaurants." "Incredible ranch backs to a protected wildlife reserve & the Big Thompson River. Open space & mountain views! Courtyard entrance w/rock fountain. Open floorplan w/wood floors & 10 ft ceilings. Gorgeous kitchen w/granite counters, big breakfast bar, SS appls, & formal dining room. Great room offers stone fireplace & tray ceilings. Master suite boasts fireplace, views, 5-piece bath & walk-in closet. Walk-out basement w/family room, wet bar & 2nd master suite. Large backyard w/patio & covered deck." 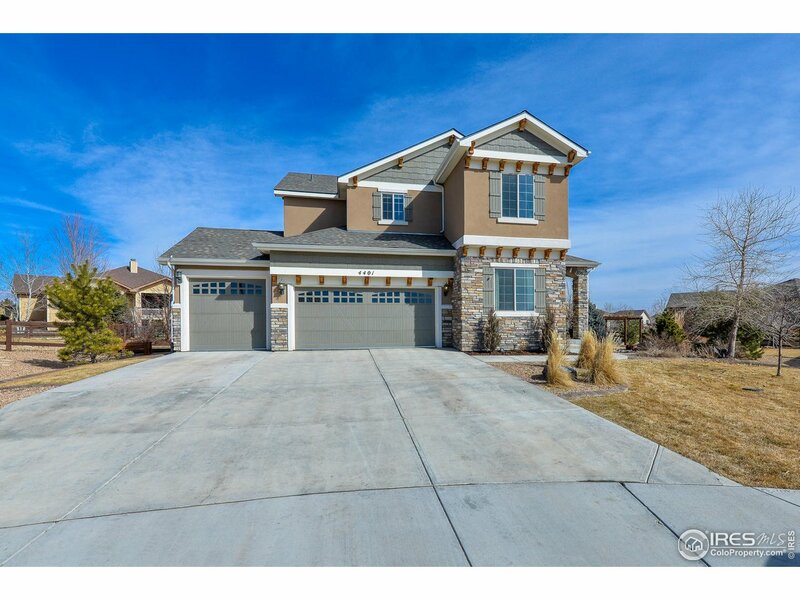 "Stunning 2 story home features 5 beds, 4 baths, 4 car garage & finished basement w/ theatre room & bar. The backyard is an entertainer's dream w/a large lot, an outdoor kitchen, pergola, fire pit & designer landscaping. Beautifully maintained home on cul-de-sac w/ granite counters, hardwood floors, custom stone fireplace in living, main floor office. Large owner's retreat boasts a 2-sided fireplace into bathroom, large custom closet & 5-piece master bath. Home was Professionally Pre-Inspected." "HUGE PRICE REDUCTION! 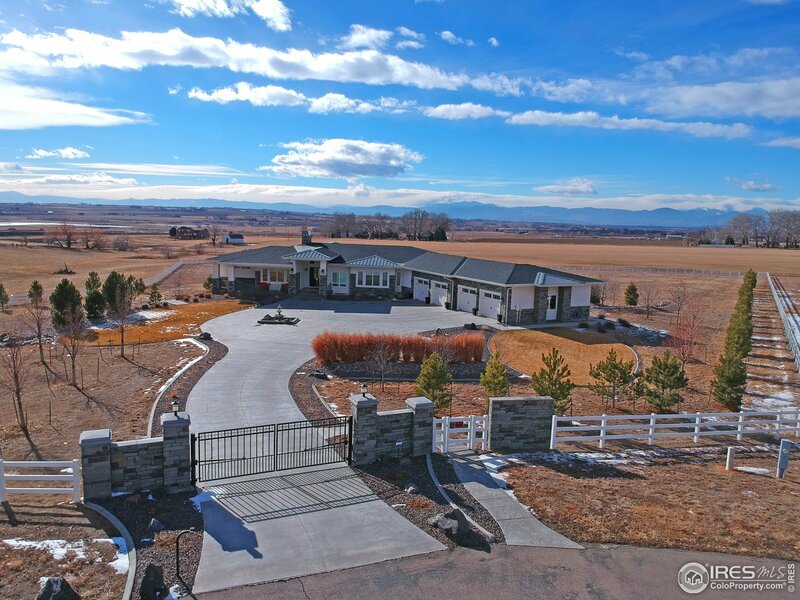 This Amazing Fenced Horse Property with mountain views is located 1 Mile east of I25! Featuring 3 bedrooms,3 baths, fireplace, extra large 2 car garage, huge southern sun/hot tub room. 3 stall barn with tack shed. Large, open kitchen with double ovens All on 3.66 acres! Perfect for a business and animals. No HOA!" "Attached RV garage (or really 5 car attached garage 1005 sq.ft.)! 2 year old without the crying! 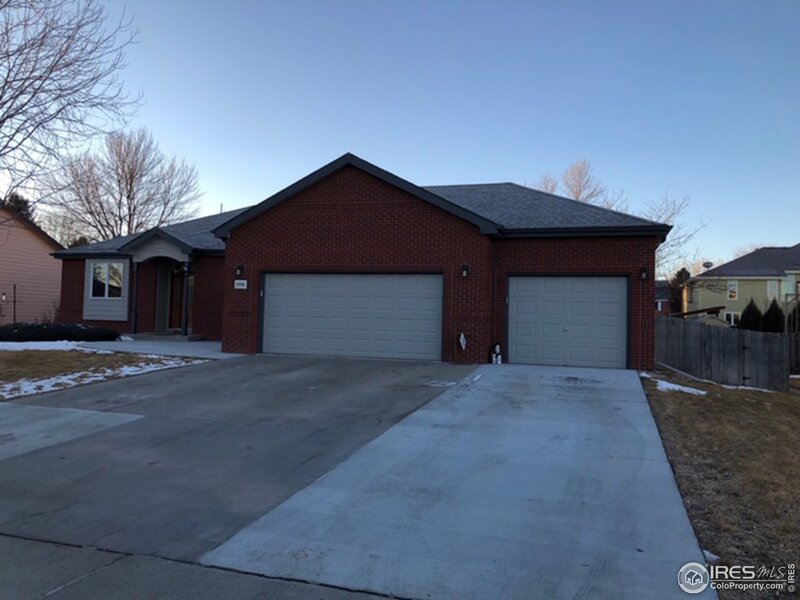 Everything is done here, 4 bedrooms, 3 baths, finished basement, Hunter Douglas window coverings, upgraded appliances, fully landscaped & sprinkled yard, fully fenced & turn key ready! Gorgeous open floor plan with a 13 foot island! This beautiful home is located on a corner lot! NO metro taxing district! Super clean!" 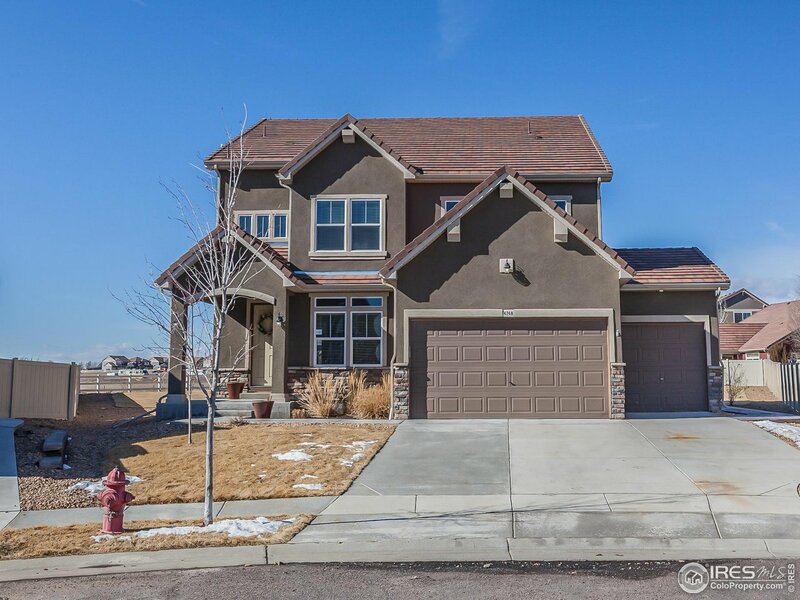 "This 5-bedroom, 4.5 bath home has it all. 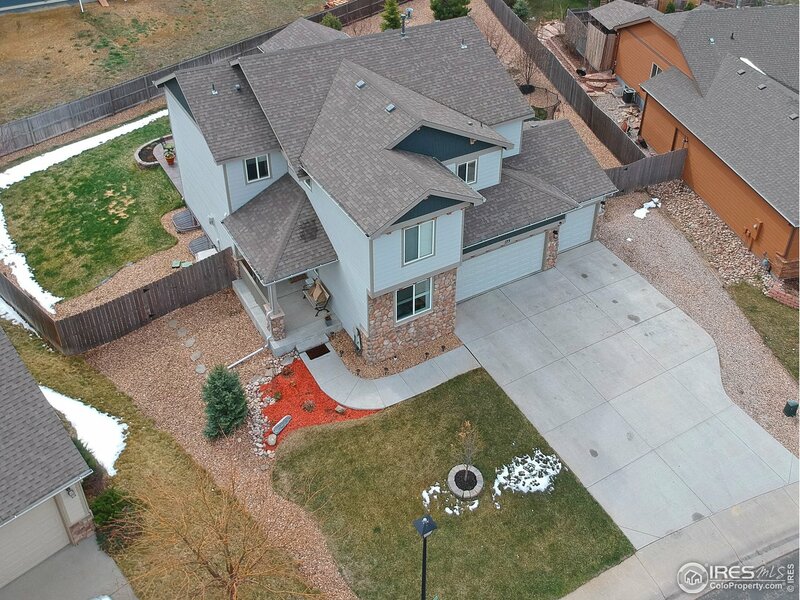 This west facing large corner lot boasts over 5,300 finished sqft. Right across the street from Johnstown Elementary School. This house has a large gourmet eat in kitchen with double ovens, 1st floor office, formal dining & living room, 2nd floor loft with pool table for entertaining. Take a bath in the master tub with the fireplace on. There are 2 furnaces, one in the basement and one on the 2nd floor to maximize heating and cooling." "Pictures are of a similar home. 4 bed, 3 bath ranch style home with attached RV/boat garage. Garden level with patio and back deck and extended covered front porch. There is time to pick your own finishes. Standards include granite counter tops, Alder cabinets, tile in the baths, wood floors, 2 kitchen islands, fireplace, A/C and stainless steel appliances. Finished basement. Choose your own finishes. Semi custom builder can design interior to suit you. Other lots available." "Pictures are of a similar home. 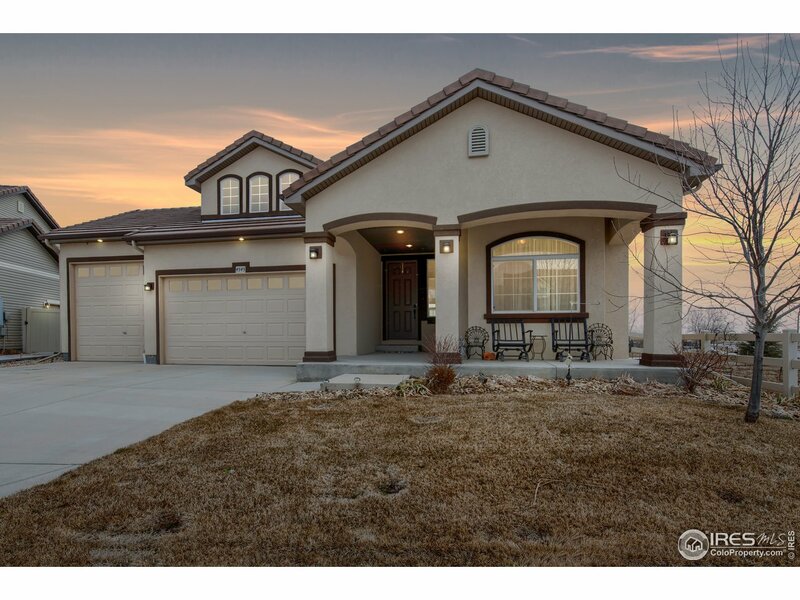 4 bed, 3 bath ranch style home. Garden level with patio and covered back deck, extended covered front porch and oversized 3 car garage. There is time to pick your own finishes. Standards include granite counter tops, Alder cabinets, tile in the baths, wood floors, 2 kitchen islands, fireplace, A/C and stainless steel appliances. You can choose a white trim or natural stained alder as well as interior and exterior paint/stone. Finished basement." "Spacious open floor plan, Large kitchen with island and Outdoor kitchen with BBQ, Griddle, Frig, Hot and cold water on stamped concrete patio with gas fire pit. Perfect for entertaining inside or out. Massive loft, Master with seating area 5 piece bath and walk-in closet. Bali Up/Down Shades. Multi zone heat and AC, finished oversize 3 car and still room to expand in the basement! 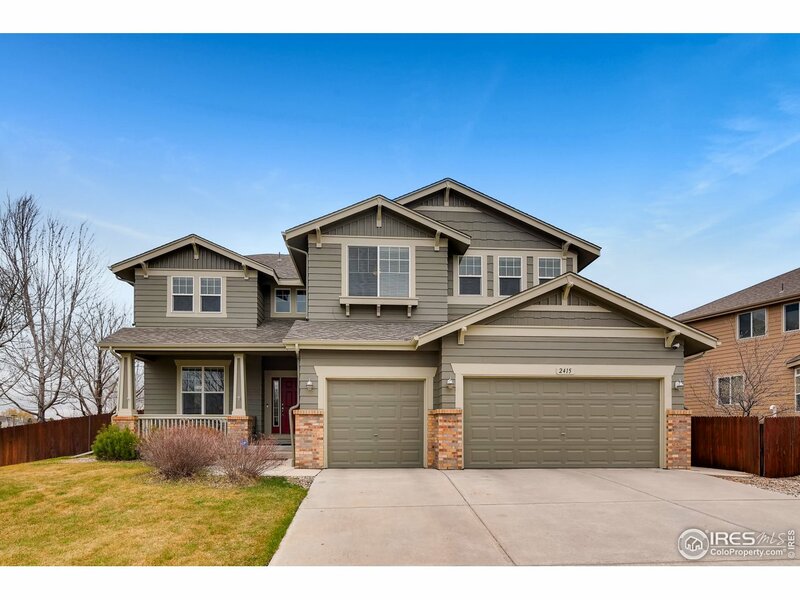 Located near I-25 for easy commute to everywhere. HOA pool." 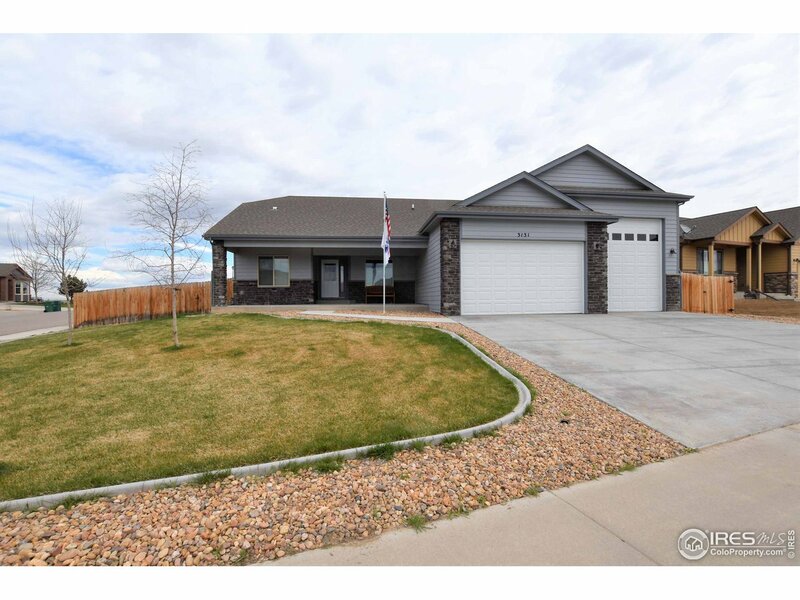 "This beautiful open ranch style home invites you in with it's hardwood flooring, fireplace, stainless steel appliances & granite counter tops that run the length of the kitchen. Bring the RV, boat & toys. The oversized 12' and 10' garage doors are ideal for large vehicles. Enjoy your coffee on the covered porch or large back patio. Basement is ideal for entertaining with a bar inviting everyone in to relax & enjoy." "If You Need Lots Of Bright, Open Space, This Is The Home For You. At Over 3100 Finished Square Feet, Features include 6 Bedrooms, 3 1/2 Baths, Formal Living & Dining Rooms, A Huge Kitchen, Surround Sound, A Spiral Staircase, A Balcony Off The Master Bedroom, Hardwood and Tile Flooring, Granite Kitchen Counters, Stainless Steel Appliances, It's Wired For A Security System and More. Outside There Is An Oversize 3 Car Garage, and A Backyard With A Sand Box and A Patio. This Home Has A Lot To Offer!" "Upgraded 2 Story with Gourmet kitchen includes double ovens, gas stove upgraded appliances and kitchen cabinets, Hardwoods throughout, Interior painted in 2017, every room wired for internet, cable and fans. 18x14 shed in backyard, wood floors in upper hallway and loft, large unfinished basement has 9 ft ceilings, blown in insulation." "Price reduced! NO HOA! Beautiful ranch home, vaulted ceilings, hardwood floors, granite countertops,in kitchen, upgraded cabinets,(Fiberglass front door)makes little maintenance in the years to come, Fireplace upstairs and down , large separate dining room, large private master, large bedroom in the basement with two exit doors ( easily split into two rooms),office in the basement equipped with cabinets and counter for the busy professional with separate entrance from the garage, RV parking"
"4 Bedrooms, 2 1/2 baths, 3 Car Garage & Covered Front Porch. 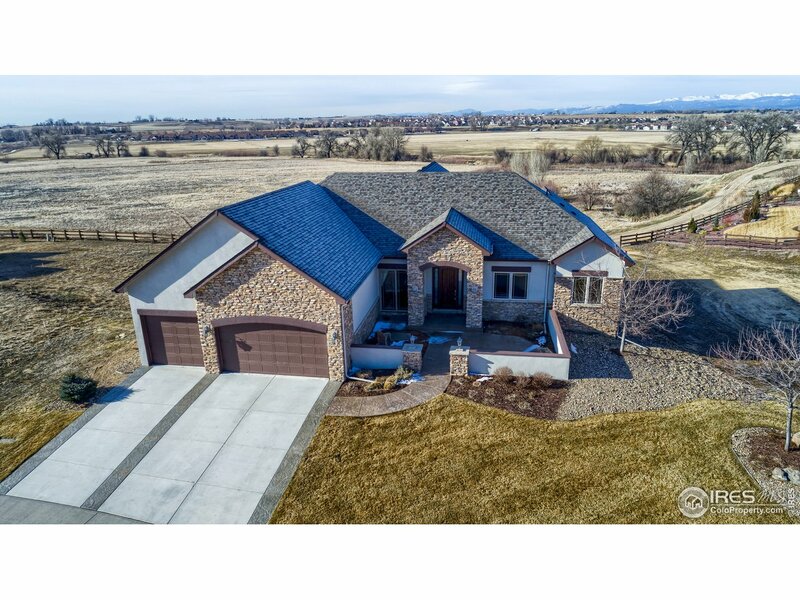 Vaulted Ceilings in Entry, Living room, Dining room and Master Bedroom, Main Floor Study with French Doors, Oval Tub in 5 Piece Master Bath, Fireplace/Entertainment Center and Open Kitchen with Island and granite counter tops! New Construction never lived in and full warranty! Completion scheduled for May"